You have just hosted the wedding and party of a lifetime. The ceremony went smoothly and the reception was the party you hoped it would be. Now it’s time to wrap up an amazing day with a wedding exit NOBODY will forget. Let’s start with the planning and talk about what needs to happen in order for your wedding exit to be successful. Wedding sparklers are an eccentric way to bid your farewell to your special day. The guests are lined up, waiting for you to run down the aisle, one last time as a married couple. You will be running through a crowd of your dearest friends and family to your “getaway” car as you depart for your romantic honeymoon. In order for this wedding exit/sendoff to be successful, some planning will have to take place. Before your special day, have a member of your wedding party (or the wedding planner) inform your guests of the special send off that will be taking place. Set a firm time for everybody to gather and wait for your wedding exit. Next, go to WeddingSparklers.com and order your enough sparklers for your wedding guests. Finally, set up a station with sparkler buckets for your guests to retrieve their sparklers. Leave lighters or matches by the buckets so your guests will be lit and ready for your grand send off! Now it’s time for your spectacular wedding exit. Ready, set, go! Make your way through a magical tunnel filled with wedding sparklers, held by your friends and family in your honor. Now stop, kiss your sweetheart and cheers to forever! 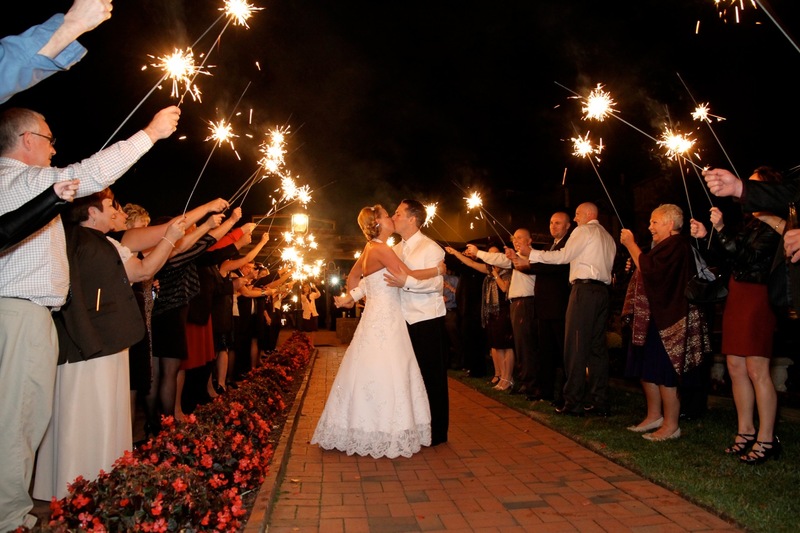 Order your wedding sparklers from our website to ensure your send-0ff is truly magical! Contact us today to choose the perfect sparklers for your special day!